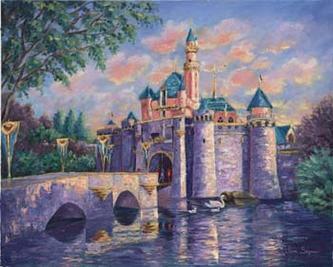 Saturday, July 28, 2007 actress and artist Jane Seymour will be at the Disneyland Resort in Anaheim, California for a special appearance and signing in celebration of the release of her painting of Disney's Sleeping Beauty Castle. The gallery event will take place from 2:00 PM - 4:00 PM at The Disney Gallery in New Orleans Square. A limited number of pieces will be available for signing as part of the event. There will also be a breakfast event with Jane Seymour. For more about Jane Seymour and her art visit Jane.Seymour.com.